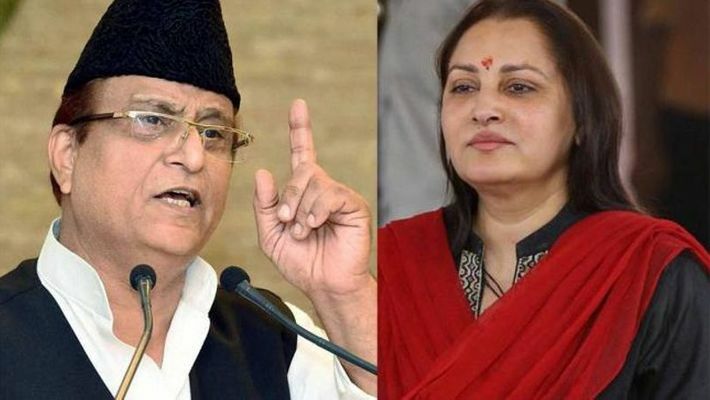 New Delhi: The National Commission for Women (NCW) has sent a notice to senior Samajwadi Party leader Azam Khan over his controversial remark about BJP leader Jaya Prada. Khan was caught on camera making a derogatory remark about Prada during a public rally in Rampur, Uttar Pradesh. "Jaya Prada's underwear is of saffron colour. It may have taken you 17 years to realise that, but I realised in 17 days". 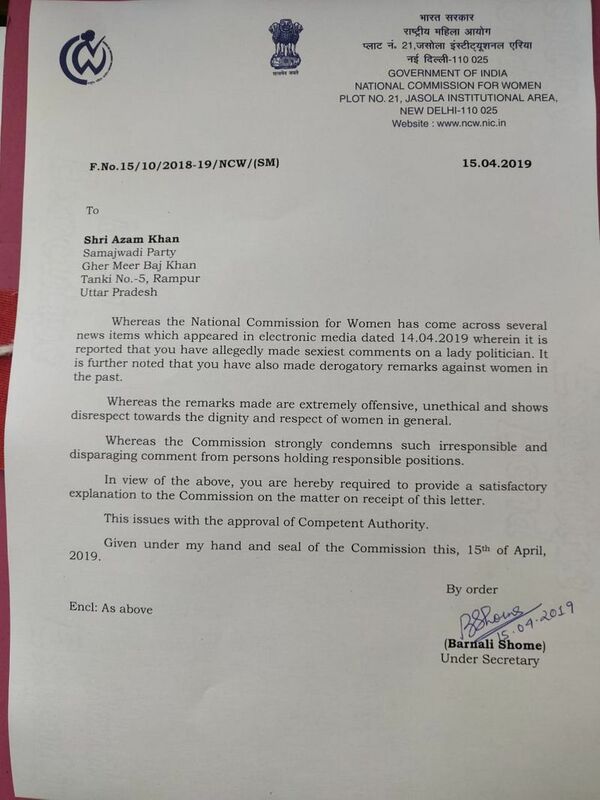 An FIR was filed against Khan at a police station in Uttar Pradesh’s Shahabad on a complaint by election flying squad. However, Khan dismissed all allegations and said that he will not contest in the Lok Sabha elections 2019 if proven guilty.